From little things big things grow. The Canberra choir now has over 50 members and we are expanding nationally with branches starting in all capital cities and near large military bases. 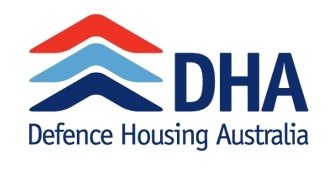 The choir welcomes women who have a significant relationship with an Australian Defence Force member or foreign defence force member stationed in Australia. This includes partners, daughters, mothers and sisters. Choirs aim to meet once a fortnight for rehearsals which include musical education and social interaction, all underpinned by the natural joy that comes from singing. While not the primary focus, the choirs also aim to perform in the local community to share their love of music and create an awareness of the choir for potential new members. Choir members are only expected to perform as often (or as little!) as they please. 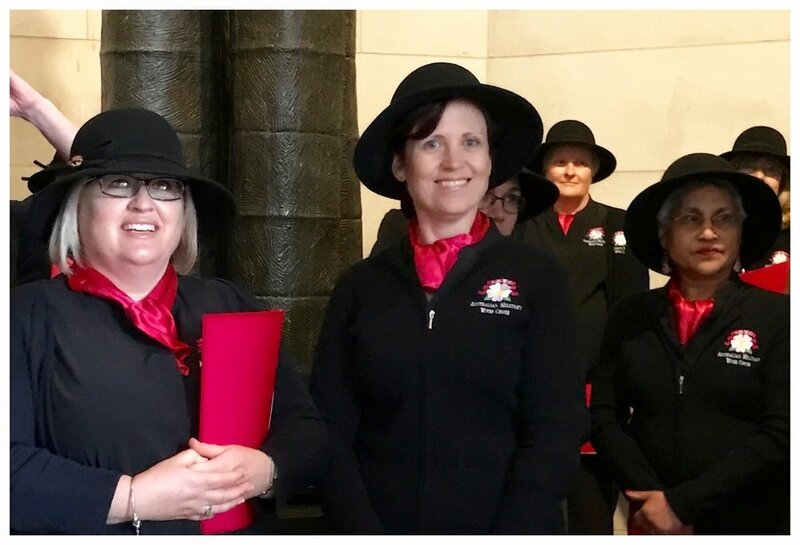 Our sense of pride and unity within the choir is enhanced by our uniforms: a black shirt or cardigan embroidered with the choir logo, a vibrant pink scarf and a stylish hat to stay sun safe during outdoor performances. The Gallipoli Rose is the symbol of the choir. The seeds of this flower were gathered by young Diggers in Turkey during World War One and carefully brought home to their mothers to be planted in Australian gardens. The Gallipoli Rose was chosen for the choir due to its history, its hardy nature and the vibrant pink and white flowers, which give our scarves their signature shade of pink.